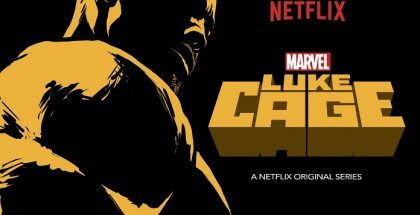 If this really is the end for Frank Castle, at least Marvel's anti-hero series goes out with a bang. Warning: This contains spoilers for Season 2. Not seen the show yet? Read why you should catch up. 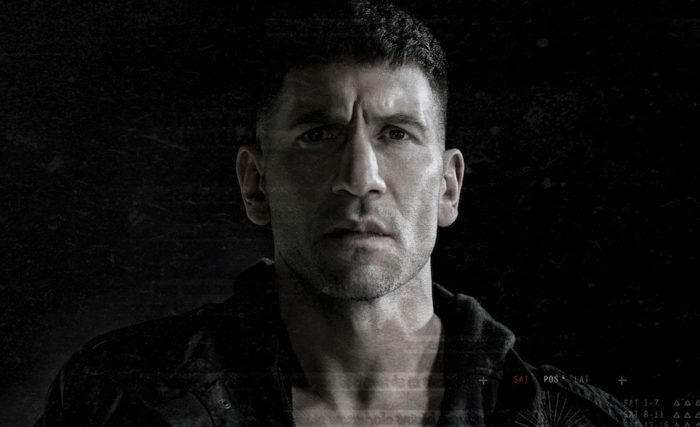 When Frank Castle left New York City battered and bruised, after exacting his revenge on the Director of Covert Operations, William Rawlins, and former best friend Billy Russo at the end of The Punisher Season 1, it wasn’t clear where the character would go next. With a clean slate, and the CIA’s blessing to lead a new life as a free man, Frank had already achieved everything he’d set out to do. So, what could possibly get the marine back into the ring, then? Well, a perfectly-timed kidnap plot surrounding teenage grifter Amy would probably do it. The Punisher’s second season kicks off with a blood-drenched Frank speeding through the night in his 4×4, with a distressed-looking Amy sat beside him, and cars following closely behind them in pursuit. “Now what?” the teenager asks Frank, as they’re blocked in from both sides, and the pursuers demand, at gunpoint, that they get out of the car. Rather than answer, though, Frank decides to do what he does best: shoot them all down. The Punisher is well and truly back, it seems. Amy, or one of the many aliases she uses throughout the series, comes to Frank’s attention when they cross paths at a bar in the middle of the sticks. On the run, and being targeted by a group of assassins because of blackmail material she possesses, the marine decides to step in and help her. Frank sees her as a surrogate daughter of sorts, you see – at least, that’s what you have to believe is happening, despite their lack of chemistry at the start of their journey, or his decision to restrain her whenever they stop to rest, so she doesn’t run away. On more than one occasion, Amy asks Frank why he’s helping her, when he doesn’t know a thing about her, or why she’s on the run. It’s something that, as a viewer, one can’t help but wonder too. Amy is hardly a compelling character, mainly because of her obnoxious attitude and determination to consistently spin lies. In one episode, she doesn’t appear at all and she’s hardly missed, while in another, rather pointless, scene, she is shown trying to keep herself entertained, as she waits around for Frank from a hidden location. While Giorgia Whigham does a great job in the role, it’s difficult to warm up to her character until very late into the series, especially as she seems, more often than not, like she’s just holding Frank back. It’s her character’s link to villain John Pilgrim that makes her appearance of significant interest. The Christian fundamentalist with an alt-right past is an ominous presence throughout the season, who, unfortunately, mostly remains just that until episode 10… of 13. We get small glimpses of the character’s home life and his religious background, which helps to build his arc, but he’s not examined closely until much later in the series. Josh Stewart’s portrayal of John as a flawed individual torn between his duty and family makes him a definite highlight of the series, so it’s a shame that he’s not used enough; John contrasts Frank in a fascinating way, almost like we’re witnessing what the marine could have been like, had he chosen to trust the wrong side. To begin with, John seems to be a one-dimensional bad guy; there to kill people, go after Frank, and not much else. But once we finally get to know more about him and his motivations, John becomes a compelling character. Much like Frank, he’s driven by his need to protect his family – he’s just placed his trust in the wrong people. So, when he and Frank finally go head-to-head, it ends up highlighting how much the season would have benefitted from the character being given more screen time to grow, rather than just seem like an afterthought until the last few episodes. While he wasn’t wasted, as such, we can’t help but feel like the show would have profited from him being Frank’s main adversary, perhaps in a third season instead of the second. This brings us to Billy Russo, who Frank had beaten so badly in Season 1 that he was left with a shredded face and little to no memory as a result of the head trauma. Believing he and Frank are still brothers in arms, Billy has no recollection of anything he did to lead to his current predicament. He’s a broken shell of the man he used to be, and, as well as the scars that decorate his face, is also emotionally scarred from their clash – tormented by dreams of skulls covered in blood, and his own strangled screams. Ben Barnes reprises the role with vigour, captivating viewers with his emotional, and sympathetic, performance, even from behind a mask. While never directly taking on the Jigsaw moniker, it doesn’t take long for Billy to try to find a place for himself in the world again through less than honourable means, and with his appropriately designed mask in tow. There to help him pick up the pieces is Dr. Krista Dumont, his psychotherapist, who encourages him to work through his feelings and overcome his deep-set trauma surrounding Frank. When Billy finds he has nowhere else to turn, Krista takes him into her home and, over time, the pair develop feelings for one another. While a rather tired trope, the couple do make for an interesting duo, as it allows Krista to bring her darker side to light – a role that Floriana Lima thrives in. 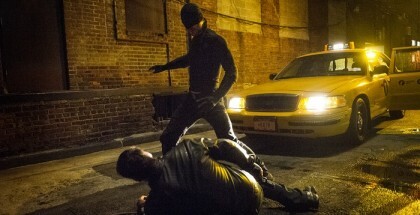 Russo was the unexpected big bad of Season 1, with his betrayal of Frank coming as a complete shock for viewers and making their ultimate fight in the season finale hurt even more. But, with no memory, and no clear motive guiding him throughout Season 2, the soldier seems lost. It’s hard to know where Russo stands, as he jumps from one target to the next. One minute, he’s dead set on getting revenge on Frank, and the next, he’s happy to rob banks with his new group of lackeys – the villain is unpredictable, and it makes his story arc often seem like its being dragged out for the sake of it, rather than out of necessity. While Barnes does an excellent job of breathing new life into the character, Russo’s volatility makes it difficult to know whether we are supposed to sympathise with the villain, or wish him gone for good. The difference between The Punisher’s first and second season is that the original feels a lot tighter. While there is a lot going on, and a lot of ground to cover, in the first season, there was one distinct end goal for Frank to reach. But, in the latest instalment, things are a lot messier, as Frank is forced to jump from one storyline to another and give his attention to one adversary at the detriment of the other. Had the series found a way to link the two storylines in a better, more succinct, way, then perhaps they wouldn’t have felt so detached from one another. We would have loved to see Russo and John Pilgrim join forces, for example. While there are a number of complaints to be had with the second season, the outing itself is still strong. Jon Bernthal is once again at the top of his game, and the series features a number of stand-out moments that are sure to wow viewers. The tenth episode is particularly impressive from start to finish, thanks to the high intensity action sequences and thrilling acting skills on display. The series finale is also just as explosive as the first season’s one, and it’s sure to thrill viewers, even if it features a rather abrupt ending for Russo. Given, at the time of writing, there is still no news as to whether The Punisher will meet the same fate as its fellow Netflix/Marvel TV shows, we’re hopeful that there will be more to come for the anti-hero. A third season would have a lot of potential, especially given where showrunner Steve Lightfoot leaves Frank. The second season proves to be a strong outing, and, while it isn’t as crisp as the first, it’s still highly entertaining. If this really is the end for Frank Castle, at least he goes out with a bang.